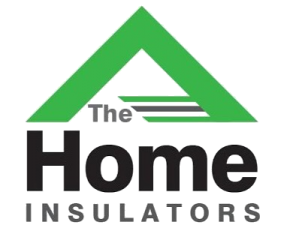 The Home Insulators is Chappaqua’s number one provider of home insulation products and services. If your energy bills are high, and your home is drafty and difficult to keep comfortable, give us a call today. Up to 40% or more of your energy bill could be due to air leaking through gaps or inadequate coverage in your home insulation. This is causing your heating and air-conditioning systems to work harder than they have to. Call us to schedule a free home energy audit. Chappaqua is a beautiful, woodsy hamlet in northern Westchester County. Known for its small town, rural feel, Chappaqua has winding, tree-lined roads and variety of homes and lot sizes, from tiny cottages to farm houses on many acres. Chappaqua is a family-friendly town, and residents enjoy an active outdoor lifestyle with hiking and biking paths nearby, outdoor summer concerts, a farmer’s market, and a local ball field. The downtown area is dotted with many quaint shops and a wide variety of restaurants. Chappaqua was founded in the mid-18th century by Quaker settlers, and their original meeting house is still used to this day. The Old Chappaqua Historic District was added to the National Register of Historic Places in 1974. Schedule An Energy Audit Today! Most of the homes in Chappaqua were built in the 1900’s and could benefit from a complete energy audit. In many cases, high energy bills are due to poor or inadequate insulation. Call us to schedule your free, no obligation energy audit. One of our friendly customer service agents will work with you to pick an appointment time that fits into your busy schedule. During your appointment, our trained and certified energy auditor will review your existing insulation and conduct a blower test. This simple and effective test will help determine where air is escaping from your home. Leaking air means that your home will be colder in the winter and warmer in the summer than it should be. Based on the results of the blower test, the energy auditor will provide a detailed recommendation to address your home’s energy conservation needs. Home insulation products receive an R-value rating, which is an indication of how well the insulation prevents heat transfer. Heat naturally moves towards cold. In the winter, this means that heat will escape through your insulation to the cold outdoor air. In the summer, the reverse happens, with heat moving through gaps in your insulation to the cool air-conditioned spaces. Excessive heat transfer can cost you hundreds of dollars per year because your heating and cooling systems have to work overtime to keep your home at a consistent temperature. 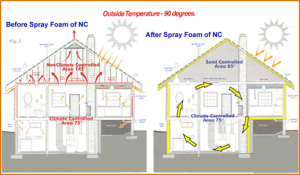 Homes in the Northeast particularly benefit from home insulation products that have a high R-value, due to the variable seasons with hot, humid summers and cold, damp winters. *Batts and rolls, or blanket insulation, is a traditional insulation product made of fiberglass, cellulose, rock wool, or recycled paper. 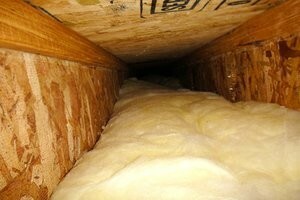 It comes in large rolls of varying widths that are sized to fit between the joists in your attic. Fiberglass can cause respiratory distress and skin irritation, so we recommend professional installation for your safety and comfort. 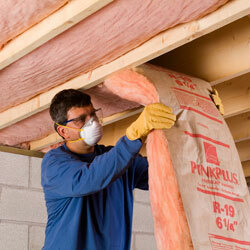 Blanket insulation can be laid over existing insulation, if it is clean and dry. However, if your current insulation is wet, moldy, or is covering wiring, then we recommend removing it, sealing, and then laying new batts and rolls. 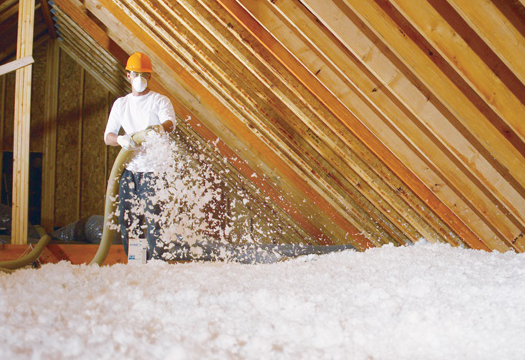 *Blown-in/Loose-fill insulation, is made of cellulose, fiberglass or rock wool that is fed through a specialized, air-powered machine. The insulation material is ground into tiny pieces and then shot out through a hose for even and complete coverage of the spaces within your attic. 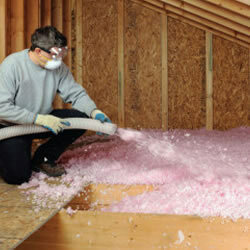 This type of insulation is excellent for filling in gaps, hard-to-reach, and odd-sized shapes within your attic. 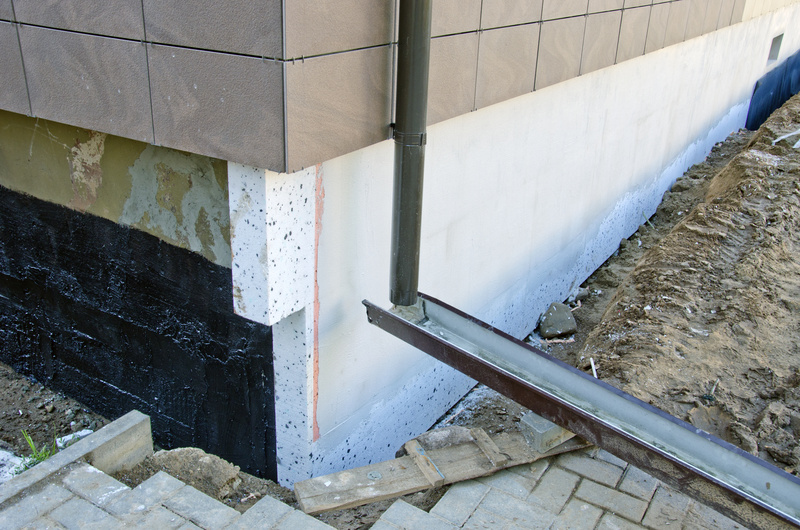 If you are planning to remodel your home, or are thinking about building a new home, call us in the planning processes to discuss rigid board insulation. This product consists of large boards made of fiberglass or rock wool. It is a top choice for builders and can be used in new roofs and unfinished walls. It can also be hand cut to fit a variety of spaces, including around heating ducts and pipes. 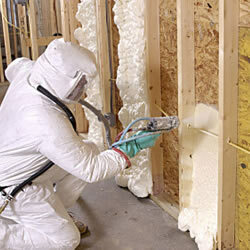 Spray foam insulation is more expensive than other types of insulation, but it has the highest R-value of any commercially available product. 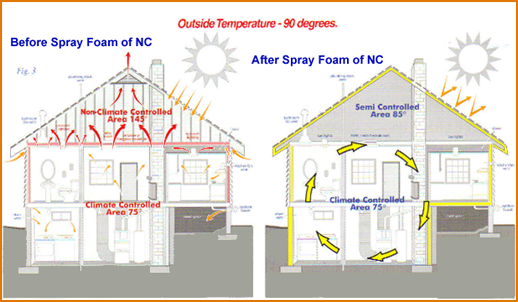 Once your home has spray foam insulation, you can expect to save up to 30-40% on your energy bills each month. Why delay? Call us today to schedule an appointment. No home insulation job is too big or too small for us. We will work hard to provide you with the best possible home insulation products and installation services to meet your home’s unique needs. Call us today to claim your free energy audit.